Save up to $25 on any general repair or service of $250 or more, $50 off of $500 charge or more, or $100 off of any $1000 charge or more. Restrictions may apply. Special good for first time customers only. Cannot combine with any other services. Present prior to work being done. The workhorse chassis was designed to revolutionize the needs of delivery vehicles everywhere. When you have a vehicle with one of these chassis, you will enjoy maintenance savings and lower fuel costs, without having to worry about compromising the integrity of your fleet. In fact, the battery warranty on these vehicles is unparalleled to any of the others on the market today. They are not only safer, but they are also more reliable. Owners can enjoy saving more than $150,000 on fuel efficiency and maintenance work alone, which is why so many major businesses own one of these vehicles. After spending money on a new motorhome, you want to make sure that you have someone who can handle any motorhome service and repair it needs. You need someone who has extensive experience working on motorhomes like yours. 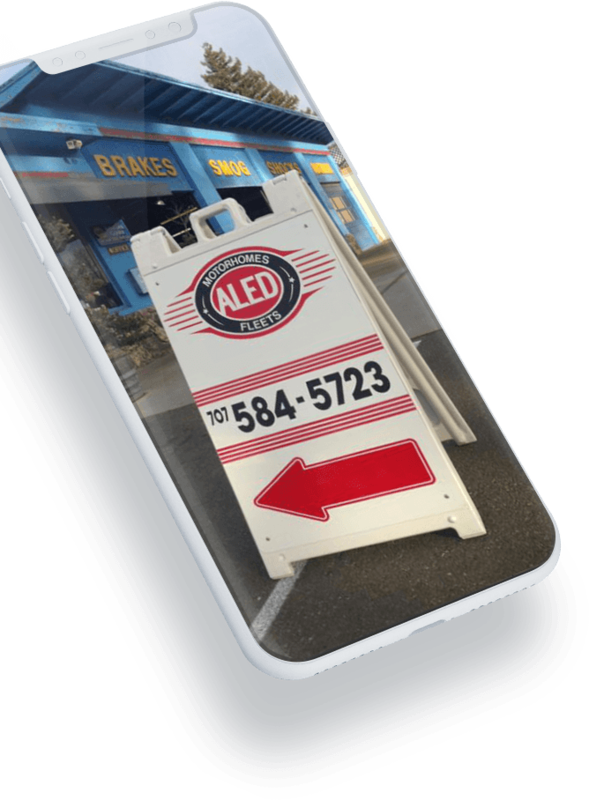 At Aled Motorhome and Fleet, you can trust that your recreational vehicle will be handled with the utmost care. We have trained mechanics who understand everything that needs to be done from a simple accessory installation to a complete overhaul. Many people depend on their motorhome to provide them with the luxury they desire when heading out on a family vacation in another state. These vehicles are designed to provide you with comfort and reliability rolled into one amazing package. While your motorhome can normally power up and run all of the electrical components and appliances with ease, there might come a time when you have to depend on the Onan generator to do so for you because of something not working right. We are an Official California Brake Inspection Station and Official California Lamp Inspection Station! Aled Motorhome & Fleet has been serving Sonoma County for over 26 years. They specialize in Motorhomes as well as fleet vehicles of all types. Motorhome services include all chassis and mechanical repairs from suspension to engine and transmissions as well as basic body electrical and generator repair. Fleet services include all maintenance as well as complete rebuilds of engine, transmissions, suspension and fuel systems both at our state of the art facility as well as client on-site repairs and maintenance. Bottom line, if you have a Motorhome or a Fleet of vehicles and you need someone to take care of all your maintenance or repair work, Aled Motorhome & Fleet is your place to go! Your Petaluma RV repair specialists!